The original 50 flavours from best to worst. All opinions are my own. And they are correct. Inspired by this post. Cinnamon is annoyingly coloured the same as Very Cherry. Which leads to very disappoint. Because as if one cinnamon flavour wasn't bad enough, Sizzling Cinnamon only ranks higher because of its' distinctive orange markings which make it easier to identify. Because pears are gross. If anyone ever poaches them and serves me them as a dessert, you can consider me offended. Years of working in a cinema have rendered this flavour useless to me. The worst kind of tea. In jelly bean form. An inferior type of melon, much worse than its more excitingly-coloured counterpart, Watermelon. The worst of the alcoholic variations. Red apples are worst type of apples. Both green and pink are better - Jelly Belly should consider making a Pink Apple variation. Okay, but has a slightly bitter kick. Bland. A non-important red bean. What's wild about this? NOTHING. Attempts to taste like chocolate - fails miserably. An awkward fruit in its original form, this awkwardness translates to the jelly bean. The staple of the fruits, you can't really go wrong with an orange. But it's not terribly exciting either. You can tell a lot about people who pick vanilla as their favourite flavour... just saying (Bonus points for authentic black spots). A somewhat polarising fruit makes for a forgettable Jelly Belly. Tastes more like caramel than apple. Yucky colour. Slightly nicer and sweeter than its Dark Chocolate brother. This actually TASTES like pink. I like coffee, but this is the poorer of the two coffee varieties. Negative points for weird colouring. The superior apple flavour. But still pretty standard. Very authentic, can sometimes fool you into thinking it's real bubblegum. If you were lucky enough to avoid the dreaded Cinnamon, you've probably stumbled upon Very Cherry. Congratulations. A more fizzy and sweet orange variation. Props to the matte effect coating. An oft-forgot drink but a tasty Jelly Belly. Slightly more sickly than other strawberry types, it ranks the lowest. Nice, distinctive colouring. The better take on a milky coffee. Questionable colour. A staple. Top Banana is the base of many delicious flavour-combinations too. A very accurate taste, sure to appease the most critical of strawberry fans. Slightly sugary with a nice zing. Dark green on the outside, red on the inside - just like the real thing! Because anything blue needs to rank pretty high. A great smoothie-making fruit becomes a fine tasting jelly bean. Only drawback is looking suspiciously like Juicy Pear. 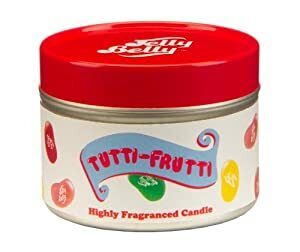 Tastes fun and exciting, and the candle version smells amazing. Also has, arguably, the best colouring. Some say it is a rule that fuzzy fruits make good jelly beans. Because limes make everything better. You take the pineapple and the coconut and shake it all up. Tastes nothing like grapes, but has that artificial grape taste which none of us will forget. By far and away the best of the orange category. An underrated drink and definitely deserves credit in Jelly Bean form. Such a delicious fruit - and the word crushed is just fantastic onomatopoeia. Great colour and up there amongst the greatest of berries. Perhaps a controversial choice but coconut is utterly divine. Follows the rule that anything blue has to rank pretty high. The car freshener version of this will make your car smell glorious. My favourite cocktail. My third favourite bean. Fantastic purple colouring, irresistible taste. Tastes like bonfires and good memories. What more could you want?